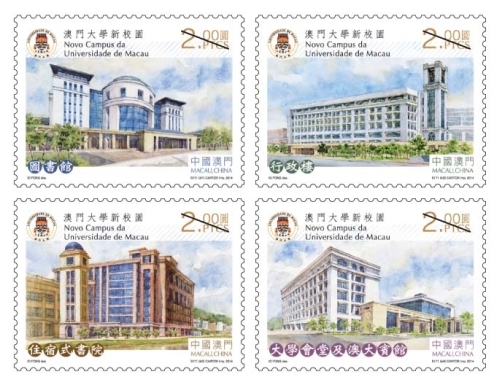 STAMP ISSUE "THE NEW CAMPUS OF THE UNIVERSITY OF MACAU"
The New Campus of the University of Macau is separated from Taipa, Macao, by a waterway, with the lush Hengqin Mountain in the background, covers approximately one square kilometre and can hold more than 10,000 students. 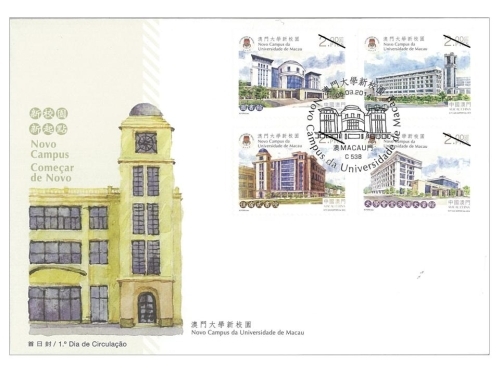 The campus has a multi-level garden-like view, with a peaceful and comfortable ambience. 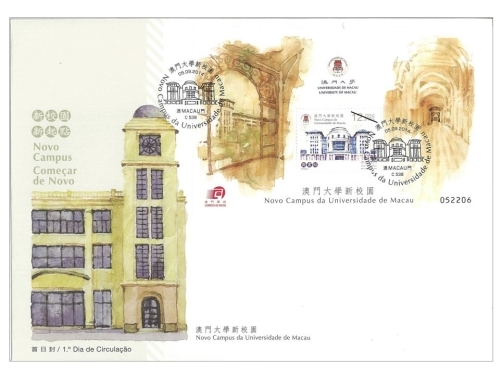 The design of the campus aims to ensure harmonious coexistence of humans and nature and to maximise the positive role of the environment in education. 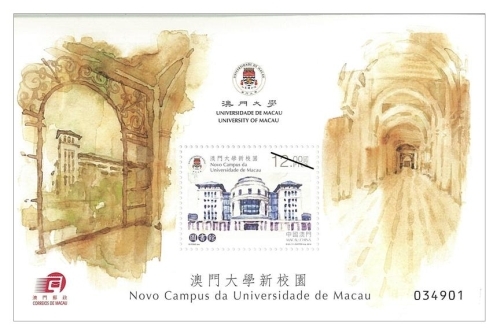 Macao Post will issue the stamp theme "The New Campus of the University of Macau" on 5th September, 2014. 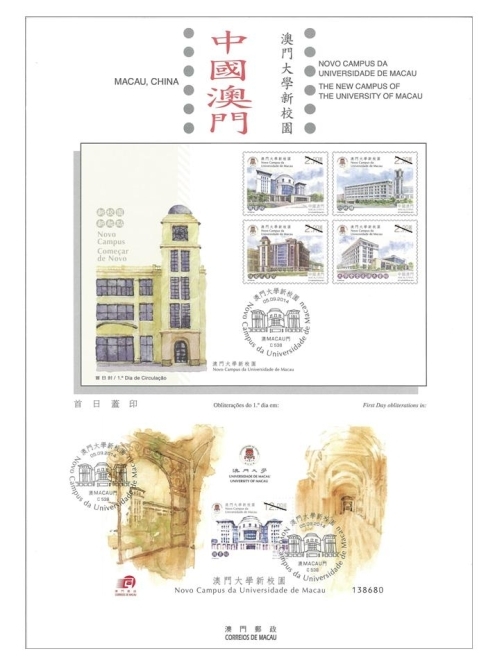 This issue includes a set of four stamps and one souvenir sheet, the designs show the buildings of library, administration building, residential colleges and university hall & UM guest house. 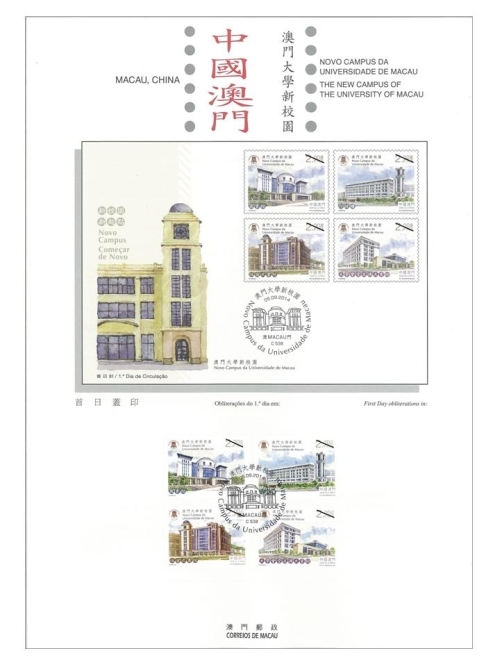 The stamp designer of this issue is Mr. Io Fong, and the text of the information brochure is written by the University of Macau. 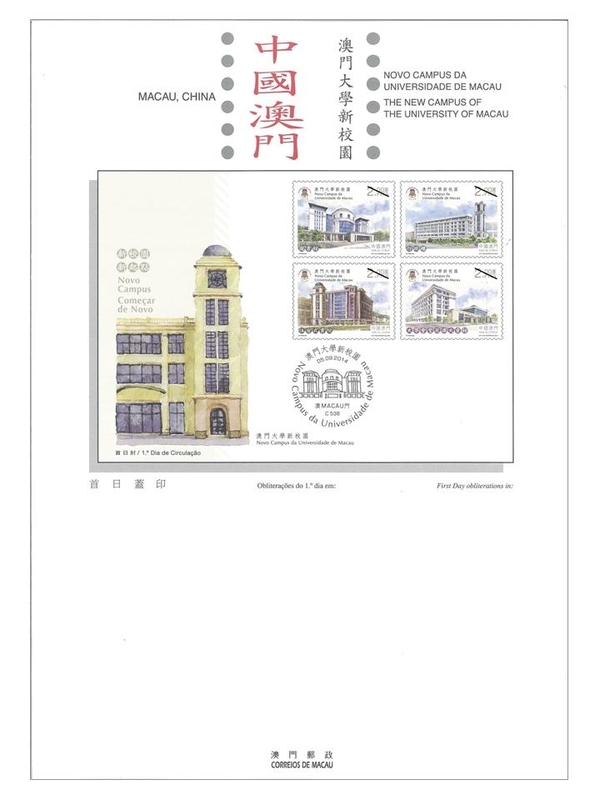 This is the seventh issue in 2014. 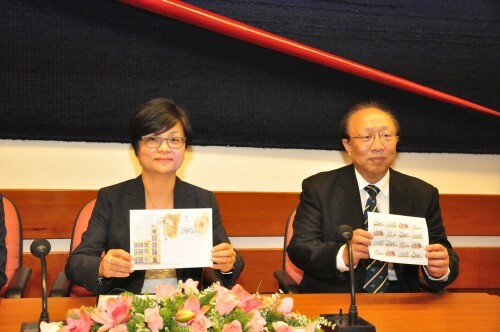 The previous issued stamps are "Lunar Year of the Horse" on 03/01/2014, "140th Anniversary of Conde de São Januário General Hospital" on 06/01/2014, the label stamp "Lunar Year of the Horse" on 14/02/2014, "130th Anniversary of Macao Post" on 01/03/2014, "Animal Protection" on 28/04/2014 and "Literature and its Characters – The Outlaws of the Marsh II" on 26/06/2014. 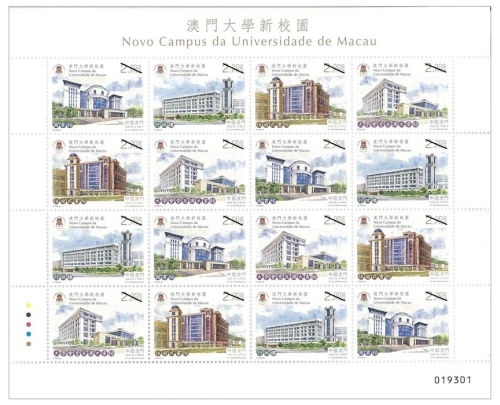 Technical Data of Stamp "THE NEW CAMPUS OF THE UNIVERSITY OF MACAU"